Briggs, Texas is at the intersection of U.S. Highway 183 and Farm Road 2657 in northeastern Burnet County. The population subsequently fluctuated between 250 and 300 until the late 1960s, when it declined to ninety-six. 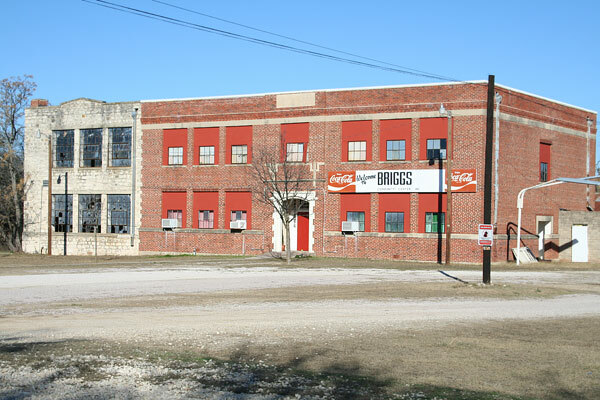 In 1969 the Briggs school was consolidated with the Burnet district. In the late 1980s Briggs had two churches, a post office, two service stations, and scattered residences. The population was ninety-two in 1990 and in 2000. Brick unit built in 1923, stone addition added in 1933. This is the same school site of the first school in 1884. Now the building is used as the Briggs Community Center. Picture taken in 2006. In 2007 the left part of the stone addition has been torn down due to deterioration.